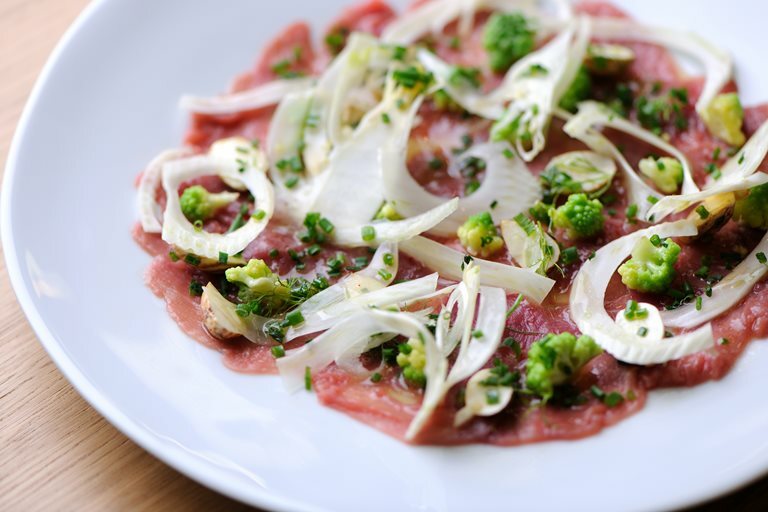 This duck carpaccio recipe from Pascal Aussignac is perhaps easier than it looks. Using crunchy romanesco to add bite and the aniseed note of fennel to provide flavour - this beautifully balanced dish can be constructed in under an hour. Use the fennel tops as an added garnish for the carpaccio.